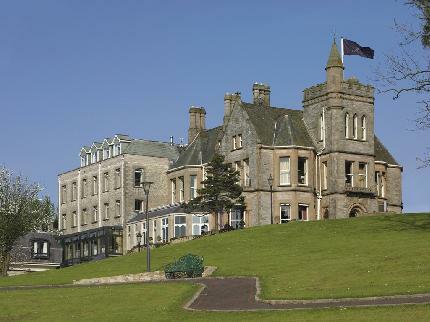 Standing on the wooded slopes of the Holywood Hills, overlooking Belfast Lough and the County Antrim coastline is the magnificent Culloden Hotel. Renowned as Northern Ireland?s premier 5 star hotel the Culloden offers guests the highest level of personalised, friendly service combined with discreet efficiency and evokes all that is best in traditional style and hospitality.As you would expect from a hotel of perfection and prestige, each guest room is exquisitely decorated and tastefully furnished to provide an atmosphere of comfortable, informal splendour, where relaxation comes naturally. Originally built as a Bishop?s Palace and caringly reappointed as a luxury hotel, it offers the ambience of a gracious home with many period features. Guests have the choice of 2 fine restaurants to dine in during their stay.The Mitre Fine Dining Restaurant offers an extensive table d^hote menu, while the informal Cultra Inn provides a bar snack or a la cate menu. The exclusive Elysium Health Spa can be enjoyed by guests. Facilities include swimming pool, fitness suite, Jacuzzi , steam room & sunbeds. The?Spa? offers a wide range of beauty treatments ranging from facials, massage,Algae wraps, manicure & pedicures. All treatments use the E?Spa beauty products.Complimentary car parking is provided for all guests. Wi-fi access (via BT Open Zone) available throughout the hotel.The hotel is situated only 6 miles from Belfast City Centre.